For 2018, we are proud to launch the brand new Thrust Surf foil and Hover foilboards, designed for a broad range of riders and uses. The Quest Series features quality constructions that are lightweight, durable and affordable with shapes for wave riding, touring, yoga and more. Representing an ongoing partnership with the best riders in the world, the Maliko Carbon Series continues to deliver better stability, chop-piercing performance and a smooth glide. Back for its second year, the Mad Dog Carbonstrikes an excellent balance between stability and responsiveness, appealing to riders looking for heightened performance in a more accessible format. Our paddles continue to evolve through our collaborative efforts with the world's top paddlers to design paddles that meet the performance demands of professionals and weekend warriors alike. At Naish, our unwavering commitment to the sport we love is evident in our pursuit to create the best products for your ocean adventure. Whether you are pushing your limits or simply chasing a smile, welcome to the 2018 Naish Stand Up Paddling Collection! Designed to create exceptional lift at low speeds and with minimal effort, the Thrust Surf foil is a great fit for foilsurfing or downwind foiling. This low aspect-ratio foil set features an extra long fuselage for a sizeable sweet spot and great stability. Tremendously versatile, the extruded alloy mast can be retrofitted to any style box system and comes premium padded cover to protect your foil. Developed for surf, downwind or open ocean swell-foiling, the Hover foilboards fit any 4-bolt foil setup with two 10” US boxes. Short and wide, the Hover is the ideal shape for foiling for its stable platform that is easy to control while foiling. 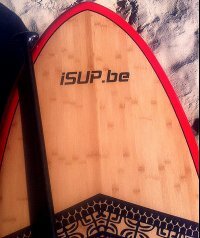 Featuring an additional fin boxes, the Hover 95, 120 and 120 Crossover can all be ridden as normal SUP surfboards. Designed with accessibility in mind, the Quest Series features a broad range of incredibly stable shapes ideal for a wide variety of conditions, experience levels and riding styles. Constructed with an advanced, high-temperature molding process, Quest boards are lightweight and durable. Shaped for performance with optimized stability, Quests are an ideal fit for the full range of skill levels. Grown out of the success of its predecessors, the Maliko 12'6" and 14’0” Carbon continue to evolve to become even faster and more forgiving than ever before. For 2018, the rocker has been tuned to better engage bumps during downwind runs resulting in faster acceleration and higher top speed. Additionally, the bevel in the nose has been moved back towards the center of the board, for a smooth-gliding shape that offers more volume, greater stability and the chop-eating efficiency needed for changing open-water conditions. Positioned between the accessible Hokua GTW and wider Hokua X32 series, Mad Dog Carbon boards are characterized by their significant volume and low profile rails. At 29” wide, these high-performance wave boards strike an excellent balance between stability and responsiveness and appeal to riders looking for heightened performance in a more accessible format. With the addition of the 8’11” for 2018, the Mad Dog Carbon reaches an even wider range of users. KEVLAR WAVE | CARBON ELITE | CARBON PLUS | CARBON | ALANA | PERFORMANCE | PERFORMANCE JR.
From beginner to elite, surfing to touring, there is something for everyone and every condition in the 2018 paddle collection. Striking the perfect balance between durability, (light)weight and flex, each paddle is tuned for peak performance for specific conditions. With the addition of the new Hydro Seal and streamlined, single notch design, vario paddles are now more watertight and buoyant for quick, perfectly aligned shaft adjustments without complication. Each handle for the entire line features an ergonomic shape that delivers a more comfortable and secure grip. Sea, turquoise liquid fades to a deep purple expanse as the evening light fades. An aromatic fragrance drifts through the senses, held aloft by the gentle western winds, Eucalyptus . Sun, the ancient seed, buried once more in the dirt that thirsts, for the coolness of night. Magnanimous time turns the stars above, me and my best friends walk home after a long day of fun, the Southern Cross crests the horizon. There's too much to say about this place, about, AUSTRALIA! At Naish, we know it’s not enough to have a sizeable selection—it’s about having the right selection, so you can make the most of every moment on the water. With the new Quest Series, new constructions, fine-tuned paddles, a SUP foil and much more, you’ll find the best option for any variety of condition, skill set or budget. When it comes to SUP, quality of choice matters and Naish goes the extra mile—in shaping, construction and materials—to create products that deliver peak performance. Get the most out of every session; choose Naish, for the ride of your life. Check out the all new 2017 Naish Javelin Maliko. After the great success of the 2016 Maliko it's back in force and with some great refinements for 2017 it's going to be a great step forwards. Join Chris Sal & Warwick Lee from the KR SUP CENTRE as they step you through all the changes and improvements. Head to krsupcentre.com.au for more info!